Most every home has blinds or needs blinds. Over the years I’ve noticed a huge increase in online window blind retailers offering all types of blinds from everyday aluminum blinds to really nice wood shutters. 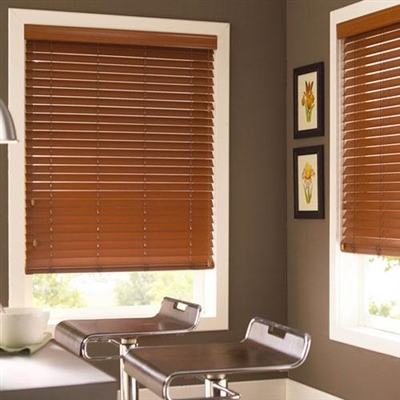 You can choose from regular blinds, mini-blinds, vertical blinds, faux wood blinds, wood blinds, and many more. Finally there’s an endless selection of colors. Most of the online sites also offer plenty of assistance in measuring your new blinds accurately. Some of the sites actually provide really good videos that you can watch as you measure your windows. I like this feature best of all because most home owners take a measurement, run to the hardware store and have no idea what to measure. By watching the videos while you do it, the process is far easier to understand and less likely you’ll make a mistake. Another reason I like these online suppliers is all the “ideas” they generate online. Traditional stores only have so much room for showcasing ideas and colors. On the other hand, online retailers offer all kinds of beautiful photography and ideas to help you decorate your room. The biggest reason that I shop online for a vast majority of my interior home products is pricing. Over the years I’ve saved thousands of dollars buying plumbing, electrical, and decorating items like shades and blinds. I’ve always saved big money on these items.